Home / Discussion: The Franchise / Would Friday The 13th Be Successful For Today's Generation Without The Hockey Mask? Would Friday The 13th Be Successful For Today's Generation Without The Hockey Mask? It's true that Jason is synonymous with the hockey mask and for very good reason. He has a history with the mask that goes back 30 years. Because of that fact, though, it is interesting to note that most fans don't even find him scary while he dons the hock anymore. 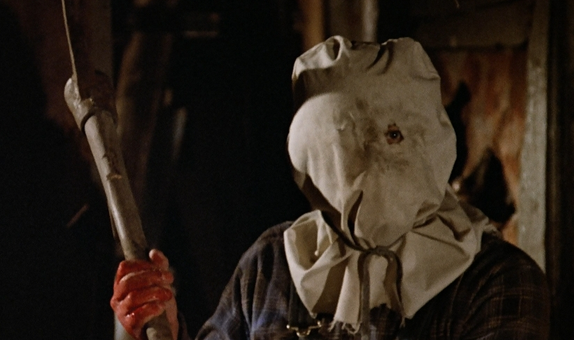 However, ask any fan when they actually feared Jason and they most likely will say when he wore the sack mask seen in Friday The 13th Part 2 as well as Friday The 13th 2009. So the question must be asked, could new Friday The 13th films be as successful for the new generation if Jason Voorhees didn't wear the hockey mask? It is an interesting idea, and one has to wonder if Platinum Dunes had followed what writers Shannon and Swift wanted for the 2009 film (where Jason wore the sack mask for the majority of the film), if it would have been just as well received or more so? 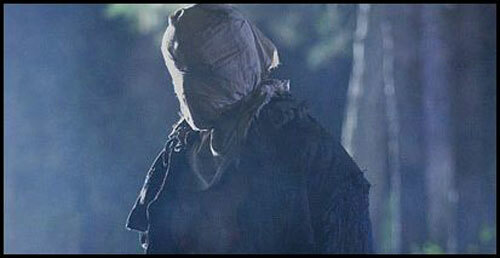 Friday The 13th 2009 would probably have done just as well and would have set up the next generation of fans with the sack mask imprinted in their minds for sequels to come. Of course, teasing the hockey mask at the end of the 2009 film would have been a nice way to get fans excited for the next movie. Trying to market subsequent films without the hockey mask would be difficult and could prove damaging to the franchise, but the even bigger situation would be seeing if the fans would be accepting of a Jason Voorhees without the hockey mask.